A significant aspect of Roeper, directly relying on its philosophy, is its commitment to achieve a diversity of race, culture, and economics and physical well-being in its students and their families. Gifted children come from all walks of life and their unique “silhouettes” are valued and enthusiastically embraced and celebrated at Roeper. Founder George Roeper noted, “One of our basic principles is equal rights of all different ethnic and racial groups. We experienced the racist concepts of Nazi Germany, and there was no doubt in our mind that education should never allow this kind of prejudice because it sets people against each other and creates violence.” Diversity was central to George Roeper’s philosophy as an educator and humanitarian and, in 1955, Roeper became the first independent school in the area to integrate, as the founders cultivated an environment in which no individual was ever made to doubt his or her self-worth and was inspired to spread the same ideals throughout the world. Mariann Hoag was a leader, administrator, and visionary at the Roeper School for over 60 years. She served as the Chair of the Financial Aid committee for most of her tenure. She was the perfect mix of mother and taskmaster, knew every student by name, knew when to tell them to pull their socks up, and knew the greatness in every child. If there is a larger purpose in a life than was Mariann’s, it truly escapes us. She changed the course of the lives of generations of Roeper students because of her fierce and purposeful devotion. Established in her name, The Mariann Hoag Financial Aid Grant Award Program reminds us of a life lived to make a difference. We invite you to invest in the education of compassionate and responsible leaders of tomorrow. On the occasion of Mariann Hoag’s passing in 2009, we honored her unceasing commitment to our students and renamed the financial aid program in her honor: The Mariann Hoag Financial Aid Grant Award Program. 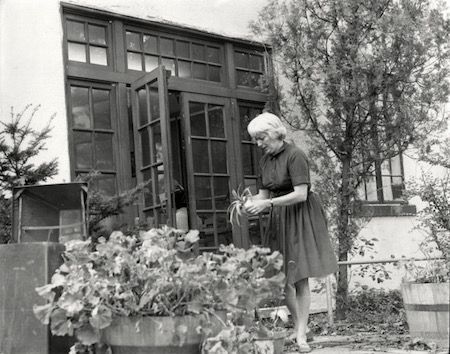 Her more than 60-year oversight of the program fortified an essential tenant of the Roeper philosophy in very practical terms and made our school accessible to those who might not otherwise have had the means to attend. It is fair to say that she changed the course of lives of generations of Roeper families because of her selfless dedication and conviction. The MOSAIC Auction, Roeper's premier fundraising event, features outstanding live and silent auction items in a captivating environment. This biennial 'party with a purpose' is an evening of celebration and community. Proceeds benefit the Mariann Hoag Financial Aid Grant Award Program and Professional Development opportunities for Roeper faculty and staff. For Roeper families and friends of the school, participating in the MOSAIC Auction is a perfect way to support Roeper today and into the future.